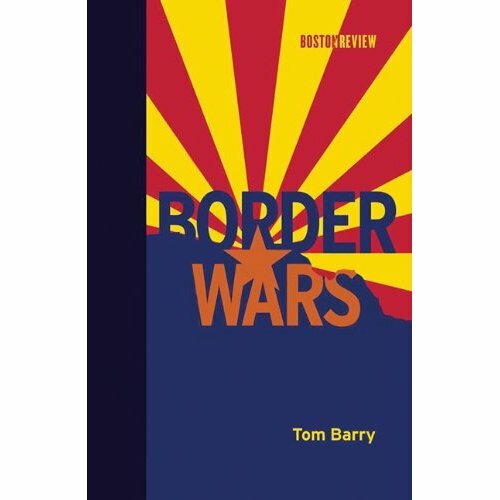 The Center for International Policyis pleased to announce the publication of Tom Barry's Border Wars, a Boston Review book published by MIT Press. Tom Barry is director of CIP's TransBorder Project, based in Silver City, New Mexico. Border Wars stands alone. By weaving together the inside stories of the rising border hawks, the border immigrant gulag, Rick Perry's border security campaign in Texas, and the new drug wars in the borderlands, Barry offers readers the complex tapestry of the politics of homeland security ten years after 9/11. What makes Border Wars so distinctive and compelling is its unusual blend of investigative reporting and policy analysis from someone who lives and works in our conflicted borderlands. Buy it here. Barry has also been busy writing and publishing articles on the various subjects - from Rick Perry to a retrospective on border security 10 years after 9/11. Read his most recent articles below. Tom Barry directs CIP’s TransBorder Project, which provides expert analysis on U.S.-Mexico border issues, immigration policy and homeland security policy. His most recent international Policy Reports examined the related issues of the unsettled state of America's post-9/11 border security policy ("Policy on the Edge: Failures of Border Security and New Directions for Border Control" - PDF) and the related issues of high-tech border security operations ("Fallacies of High-Tech Fixes for Border Security" - PDF).